Health Information Technology & Services (HITS) continues to migrate Windows devices throughout Michigan Medicine on a rolling basis, location by location, with great success. 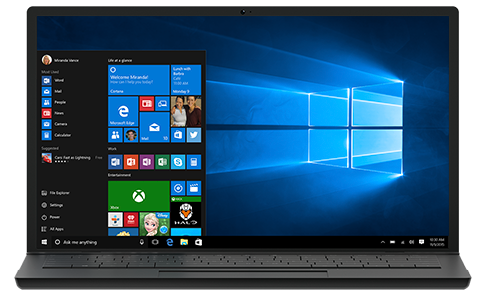 The department has currently upgraded over 12,000 devices from Windows 7 to Windows 10 — about a third of the overall Windows fleet. With this upgrade, users are also getting the latest versions of some of the software they are using. “The Windows 10 deployment went very smoothly this week in my unit,” said Patti Milgrom, senior health care administrative manager in MedSport at Domino’s Farms. “My staff are appreciative of the updated and new computers —some of which will significantly impact their workflow as we had some pretty old computers.” Migrating to Windows 10 ensures that the Michigan Medicine device fleet remains current and has all of the latest security safeguards from Microsoft. Read more.